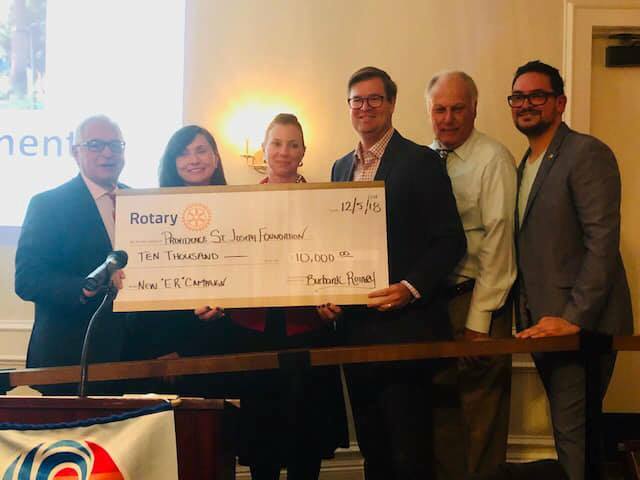 On December 4th, the Rotary Club of Burbank, through our Foundation, made a $10,000 donation to the new building campaign for a much needed Urgent Care facility at Providence St. Joseph. This donation is part of a $25,000 financial commitment to the hospital. Click here to learn more about our contribution to this project.